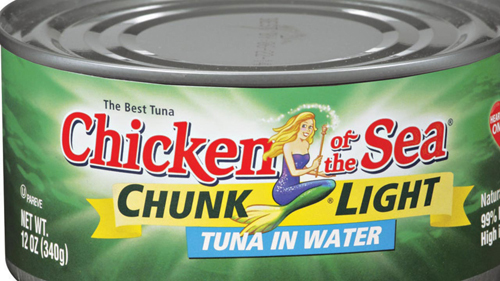 WASHINGTON (AP) — Chicken of the Sea and Bumble Bee have called off their proposed merger after the Obama administration told the companies it would hurt competition in the U.S. canned tuna market. The Justice Department announced that the deal, announced a year ago between Thailand’s largest seafood company and Bumble Bee Foods of the U.S., was off. If Thai Union Group, owner of Chicken of the Sea, had bought Bumble Bee, it would have combined the second- and third-largest sellers of tinned tuna in the U.S. in a market long dominated by three major brands. “Consumers are better off without this deal,” Assistant Attorney General Bill Baer said in a printed statement. He said the two companies knew or should have known that competition already is lacking in the canned tuna market, and more consolidation would make the situation worse. Bumble Bee CEO Chris Lischewski confirmed in a statement that the two companies had mutually agreed to terminate the deal. “During the last year, Bumble Bee has conducted business as usual and now has a renewed focus to execute its vision for the company well into the future,” Lischewski said. Representatives of Tri-Union Seafoods didn’t immediately return telephone calls seeking comment. When the deal was announced in December 2014, Thai Union said its purchase of Bumble Bee would be its largest acquisition and would boost its earnings by reducing costs and improving efficiency.